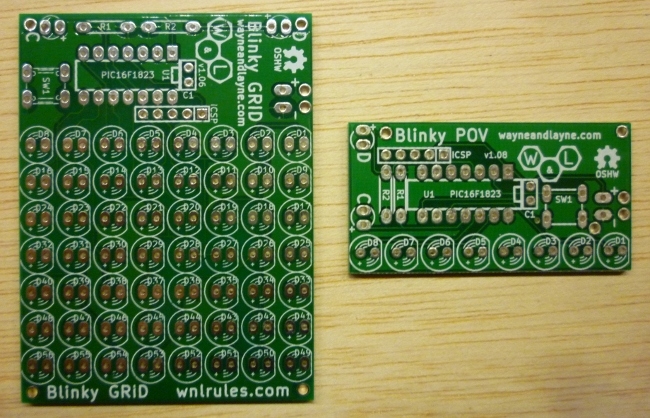 The build instructions for the Blinky kits have been split up into through-hole instructions and surface-mount instructions. If you have a Blinky circuit board that looks like one of these, then you want the Blinky Through-Hole instructions. 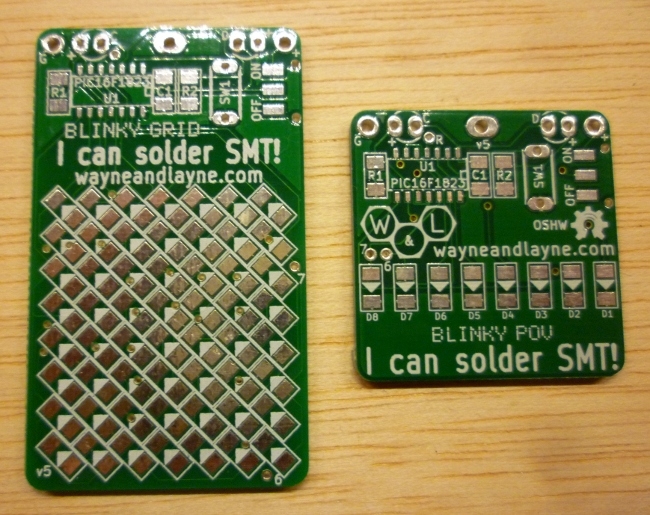 If you have a Blinky circuit board that looks like one of these, then you want the Blinky Surface-Mount instructions.